All SOLAS propellers are developed by a state of art process. Through a sequence of theoretical calculations, geometry design, prototype testing, pilot production and field tests, SOLAS propellers are designed to meet customers' various requirements. Modern CAD, CAM and CAE technologies are used to ensure that high precision tools are used for products. 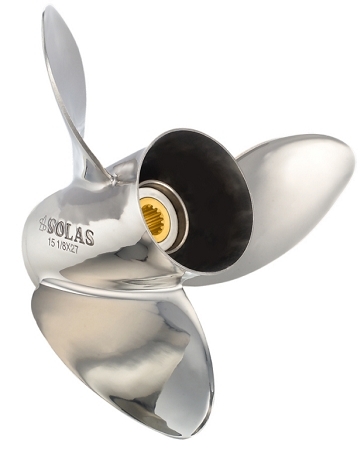 SOLAS Stainless Steel Propellers - Feature the industry's highest percentage of chromium, nickel, and molybdenum. Our material resists rust from salt water and increases the stability of the propeller blades.